We also offer this optional service so you can experience this unforgettable adventure every time you want. Our instructors have the Underwater Videographer and Photographer Specialty which means they are real professionals at the moment of tacking the best shots. 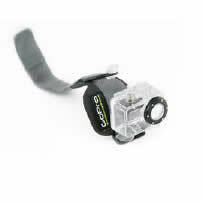 From the beginning of the excursion we start using our GO PRO Camera. The idea is to make several short clips between 1 and 3 minutes. Once we come back from our experience, we’ll edit the photos from the videos with a special program that allows us to divide each second of the video in 29 parts, so we can pick the best pictures possible. 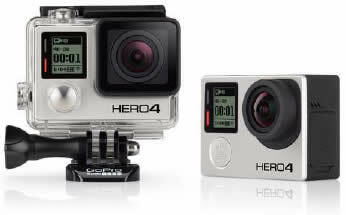 The new GoPro HERO4 delivers higher performance than any other GoPro. 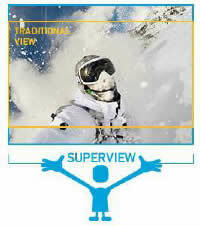 »Features SuperView™, a GoPro-exclusive video mode that captures the world’s most immersive wide-angle perspective. All the pictures and videos exhibited in our webpage were made with this camera. This service is optional and has an additional prize. Ask!